The NEW Table Selfie launching November 2017 is the latest must have gadget table decoration for any occasion! 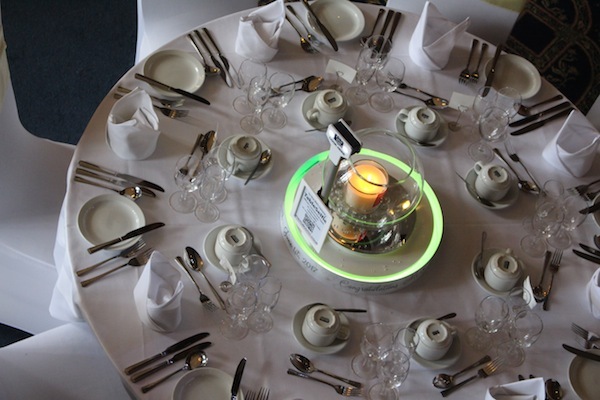 The Table Selfie can be positioned in the centre of your tables to generate instant photos triggered by your mobile phone. 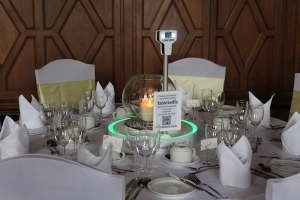 Guests can spin the Table Selfie 360 degrees to capture the perfect selfie from any angle. Countdown with your phone, capture on your Table Selfie. Photos can be saved, shared, or printed to create customised 6×4″ instant prints. Table Selfie hire is available throughout the UK including Derby, Burton on Trent, Stoke on Trent, Nottingham, Leicester, Manchester, Liverpool, Chetser, Preston, Blackpool, Carlisle, Newcastle upon Tyne, Durham, Middlesborough, Leeds, Bradford, Wakefield, Glasgow, Edinburgh, Scotland, Inverness, Kettering, Northanmpton, Milton Keynes, Coventry, Rugby, Luton, Hemel Hempstead, Welwyn, Hammersmith, Totenham, Wembley, Kent, Essex, Brighton, Portsmouth, Bournemouth, Swansea.